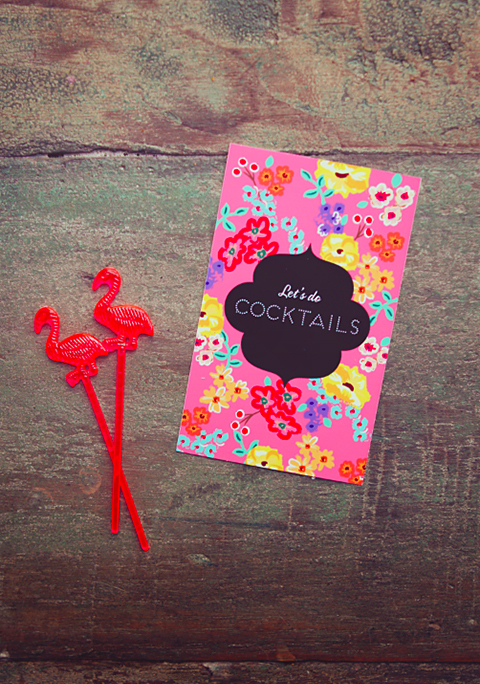 Sweet Deal: Freebie Cocktail Party Invites from Eat, Drink, Chic! / Hey, EEP! Sweet Deal: Freebie Cocktail Party Invites from Eat, Drink, Chic! How cheery are these "Let's do cocktails!" cards from Eat Drink Chic? You can download and print them for free thanks to the fabulously creative and generous Amy Moss. I may need to invite some ladies over for drinks next week just so I can use 'em :) What's your cocktail now that fall has snuggled in to stay? Great photos! I like that style! Oh, fabulous Una! Thank you. I'm so thrilled you like it—and even more thrilled to have you as a reader :) Cheers!